Premier League leaders Liverpool missed the chance to go seven points clear of second-placed Manchester City after being held to a draw by a mid-table Leicester City side. Sadio Mane’s early goal had given the Reds a dream start in the match, but Harry Maguire equalled for the visitors on the stroke of half time. The hosts failed to deal with a free-kick after left-back Andrew Robertson conceded the needless set-piece. That was enough in the end for the spirited Foxes, who clinched an important away point. 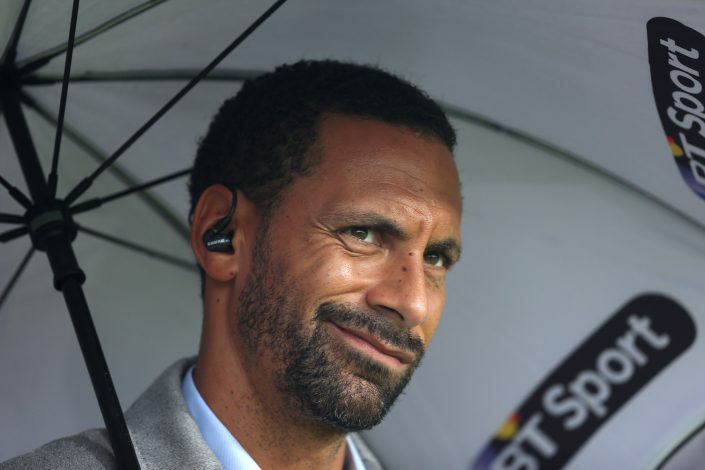 Manchester United legend Rio Ferdinand was at BT Sport studio alongside Michael Owen and Robbie Savage for the analysis of the Premier League matches. Ferdinand was visibly excited as Maguire scored the equaliser, although he made it clear that he wasn’t biased towards the Reds. “Come on! Let’s go! Game on!” Ferdinand shouted. “I just want the league to be tight,” he then told the pundits present with him. But many United fans were convinced that Ferdinand was indeed biased towards Liverpool, who happen to be the Red Devils’ biggest rivals. Liverpool had the chance to win this tie and put more pressure on City, who were stunned by Newcastle United on Tuesday. The Reds are on 61 points after 24 matches, and see City trailing by five points. Manager Jurgen Klopp knows the importance of the league trophy, which Liverpool haven’t won in 29 years. The Reds have lost just one league match this entire season, having already crashed out of both the League Cup and the FA Cup earlier in the campaign.